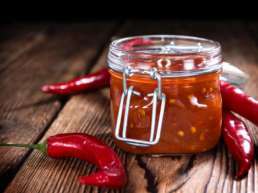 The indigenous Sasak people of Lombok: spicy, hot-blooded and proud. Shaped by animism, Buddhism, Hinduism and now Islam, the Sasak religion and culture are an intriguing blend unique in the Indonesian archipelago. 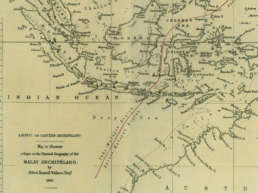 Sasak history is hazy before the arrival of the Hindu Javanese in the 14th century: many claim that sea-going settlers arrived from the Malay archipelago around 100 BC to reinforce the original Austronesian pioneers who had made it to the island a couple of thousand years before. 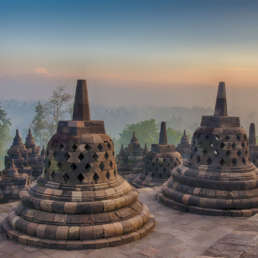 As the Javanese Hindu empire crumbled on Lombok in the 16th century, Islam soon made footfall on the island and dominated the Sasaks’ unique blend of animism, Hinduism and Buddhism – converting it into the Wetu Telu, or the ‘Three Times’ religion. Like their Balinese cousins, Lombok’s indigenous Sasak people were intensely feudal for centuries – bands of warring princely factions fighting over land, wealth and power – and were so busy fighting each other that they left their western coast wide open to the Balinese who invaded Lombok in the 17th century and didn’t leave for another 150 years. 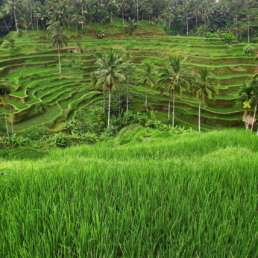 The Balinese brought with them their own flavour of Hinduism along with subak irrigation systems and their rice terraces, the gamelan, dance, new temples and the caste system. 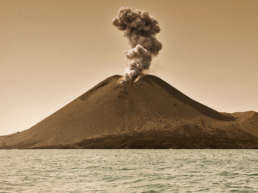 Lombok, and the Sasaks, are a multi-coloured mix of history, culture and religion. The proof? Visit Lingsar in West Lombok, the world’s only Hindu temple where Sasak Muslims and Hindus come to worship together. Sasak people gather in a village in the foothills of Lombok’s Mount Rinjani. A young Sasak girl poses for her portrait. Sasak kids take some time out for a laugh. An elderly Muslim Sasak woman poses for the camera in her jilbab. And like their Balinese cousins, Muslim Sasak followers of Wetu Telu pray three times a day – acknowledging the three human rites of birth, marriage and death. Today, the nominally Muslim Sasak Wetu Telu people inhabit the more remote villages and isolated mountain areas of Lombok – often working as farmers or fishermen. 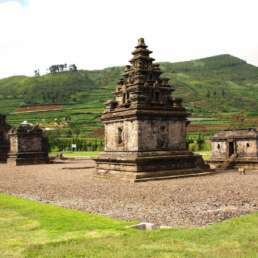 The ancient village of Bayan at the foot of Mount Rinjani is considered the stronghold of Wetu Telu – other Lombok towns and villages with sizeable Wetu Telu populations are Pujung, Rambitan, Sade, Loyok, Tetebatu, Sembalun and Bumbung. 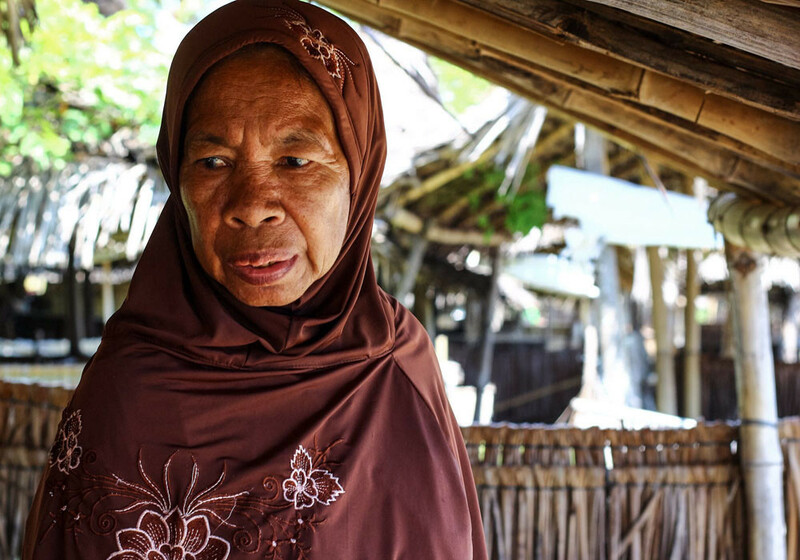 Much of the rest of the island’s Sasak people now follow the Wetu Lima – the ‘Five Times’ religion – referring to the more orthodox Sunni Muslims who pray five times a day. Stir into the mix the 300,000 Hindu ancestors of the Balinese invaders still living on the west coast, and the tiny remaining Sasak population who follow Bodha (go to Bentek village on the slopes of Mount Rinjani to meet this sub-group who remain untouched by Muslim influence) and you’ll begin to see that Lombok, and the Sasaks, are a multi-coloured mix of history, culture and religion. The proof? Visit Lingsar in West Lombok, the world’s only Hindu temple where Sasak Muslims and Hindus come to worship together. 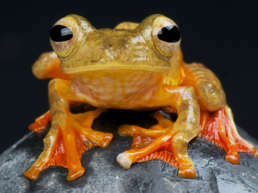 As more and more Sasaks have moved from Wetu Telu to the more mainstream Wetu Lima, the rituals and ceremonies born from animism and Hinduism are dying out. But there’s still the hilarious Hindu-Wetu Telu ‘sticky-rice war’ known as Perang Topat – something like a cultural food-fight between Hindus and Muslims held at Lingsar Temple every November/December. Or Lebaran Topat, held in the seven days after the end of Ramadan at Bintaro cemetery in Ampenan, where relatives pour water over family graves and leave offerings of flowers, lime powder and betel nut. 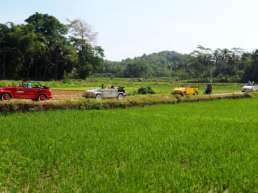 And the nutty Malean Sapi – Sasak for ‘cow chase’ – in Narmada, just east of Mataram, where highly competitive racers drive a pair of enraged bulls across waterlogged fields to commemorate the rice-planting season in April. The scariest? Peresean, a traditional Sasak duel between two men armed with rattan sticks and buffalo-hide shields. Often performed the week before and after Indonesia’s Independence Day on August 17, Peresean fights used to be performed as a ritual to encourage rain before rice-planting – the more blood spilled the heavier the rain… (Catch the Peresean championships in Mataram in late December.) And if you’re on Lombok around February, get down to Kuta’s coast for the Bau Nyale celebrations accompanying the annual appearance of thousands of seaworms – said to bring prosperity and good luck. 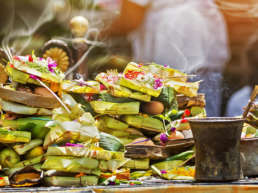 As on Hindu Bali, the Wetu Telu birth ceremony of Adi Kaka is practiced widely on Lombok and involves burying the placenta inside a coconut wrapped in sacred white cloth by the gateway of the parents’ house. And like the Balinese Otonan Potong Rambut – the hair-cutting ceremony carried out when a child is six months old, the Sasak Wetu Telu also have a similar ritual called Ngurisang. But unlike Hindu Bali, the most important ceremony for a Sasak Muslim boy is Nyunatang – circumcision – often taking place during the Muslim month of the Prophet Muhammed’s birthday. Don’t imagine that Lombok’s Sasaks are all about farming, fishing, praying and weaving: dance and drama are intricately woven into the Sasak identity. The hottest? Gandrung – also popular in Java and Bali, and originally performed in devotion to Dewi Sri, the Hindu Goddess of Rice and Fertility – is now a Sasak dance of courtship and love. For drama, try Gendang Beleq: a traditional marching band of two large drums followed by a gamelan group and performed – in the old days – to encourage Sasak warriors into battle. 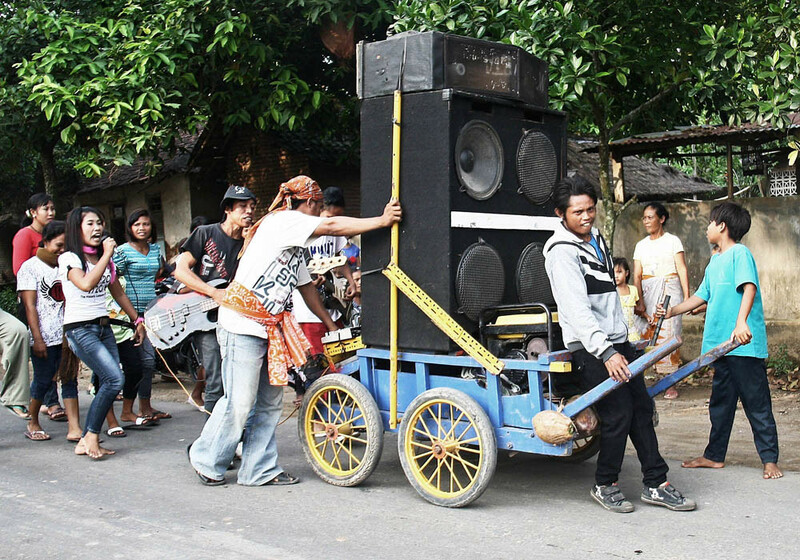 A noisy music procession rolls down the street in Lombok, Indonesia. 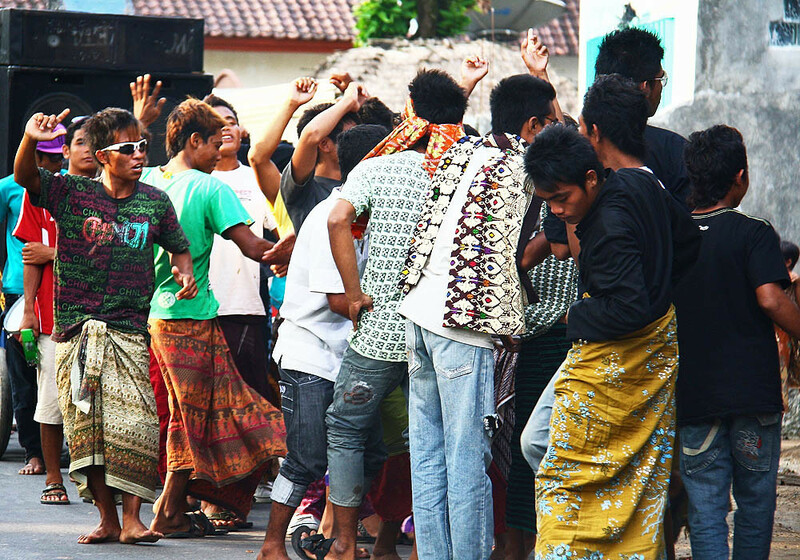 A noisy street party in full-swing in Lombok, Indonesia. A Sasak street band rolls onto the next party. While men are busy in the rice-fields or at sea, girls and women traditionally weave to while the time away. Ikat (meaning ‘to tie’), and the more refined Songket – the latter often involving intricate gold braid – are both renowned as some of the best examples of traditional hand-woven cloth in Indonesia and beyond. 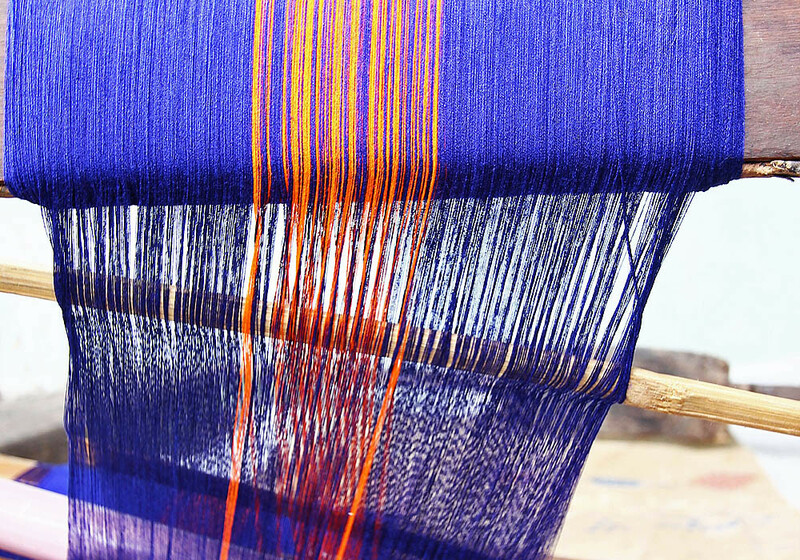 Watch the patterns taking shape: the village of Sukarare prides itself on having some of the finest weavers on the island. 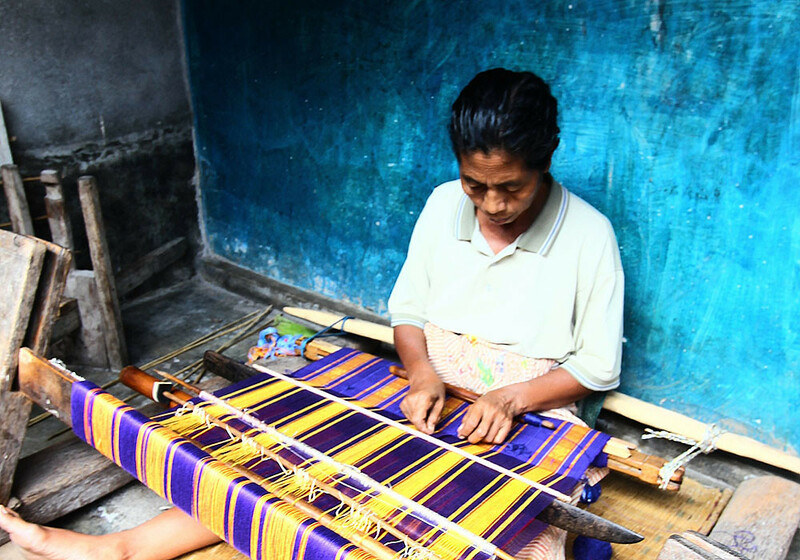 A elderly Sasak woman patiently weaves traditional Songket cloth in Sukarare village, Lombok, Indonesia. A close-up up of traditional Songket cloth being woven in Sukarare village, Lombok, Indonesia. 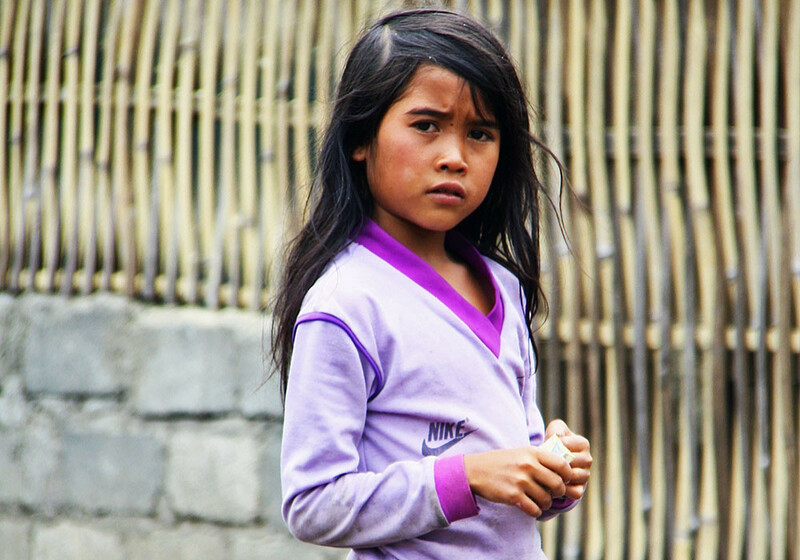 The vast majority of Sasaks on Lombok are Muslim. 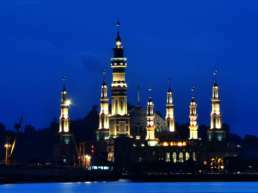 Which is why haram – unacceptable – food such as pork will be hard to find during your trip. Like anywhere in Indonesia, using your left hand to give or receive anything is extremely bad manners – in Asia, the left hand is used to wash oneself after the lavatory. Consciously use your right hand in all interactions with people. Swimming costumes are acceptable on the busier tourist beaches, but towel off and cover up with clothes or a sarong before you leave. Foreign, non-Muslim women are not expected to cover their heads in public – although doing so will earn you a lot of respect. Think ‘modesty’ when you dress: wear long loose pants or a skirt that covers your knees. Don’t advertise your cleavage, and cover your shoulders and elbows. Men: don’t walk around town without a shirt on. And try and find a pair of shorts that cover your knees. Long trousers are needed for a visit to the mosque. Outward appearance is everything: clean is good; unwashed is not good. Shaking hands, as in the West, is a sign of friendship and respect. After you have shaken hands, raise your hand and touch your heart to show your sincerity. While the Balinese people are soft-spoken, gentle and always up for a bawdy joke, their Sasak cousins are more reserved and conservative. And while the Balinese are extremely slow to anger, the Sasak character can be drier and more hot-blooded – it may have something to do with the Wallace Line… Always be polite on Lombok, and smile first. A smile goes a long way. For some solid Sasak architecture, trip over to the eastern side of the island. 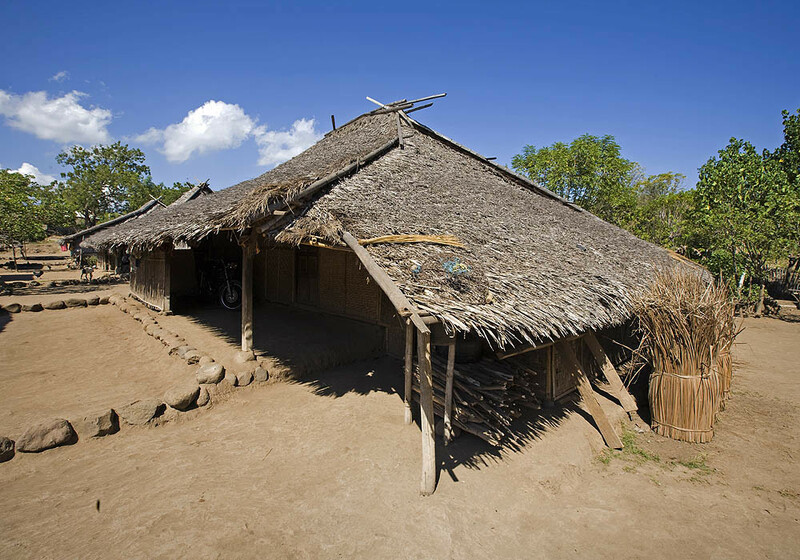 Sade is typical: built on a low escarpment to conserve arable land, the village’s wooden houses are built in neat rows. 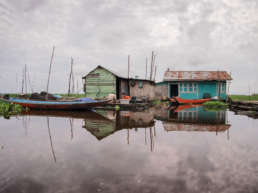 Topped with woven reed roofs (alang-alang), many traditional Sasak houses still have clay floors smeared periodically with cow dung – said to prevent mosquitos and guard the home from evil influence. Thatched, pile-built stodoła – rice barns – dot the easier lower slopes. And at the centre of the village is a thatched mosque – most traditional Sasak mosques are topped either with a single or a double pyramid roof. 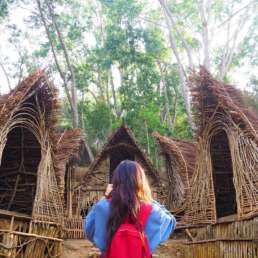 Travel to Rembitan village for another authentic cluster of thatched houses and stodoła – its ancient thatched mosque, the Masjid Kuno, is a pilgrimage site for Lombok’s Muslims as one of the founding fathers of Indonesian Islam is buried here. A row of traditional thatched Sasak houses in Lombok, Indonesia. 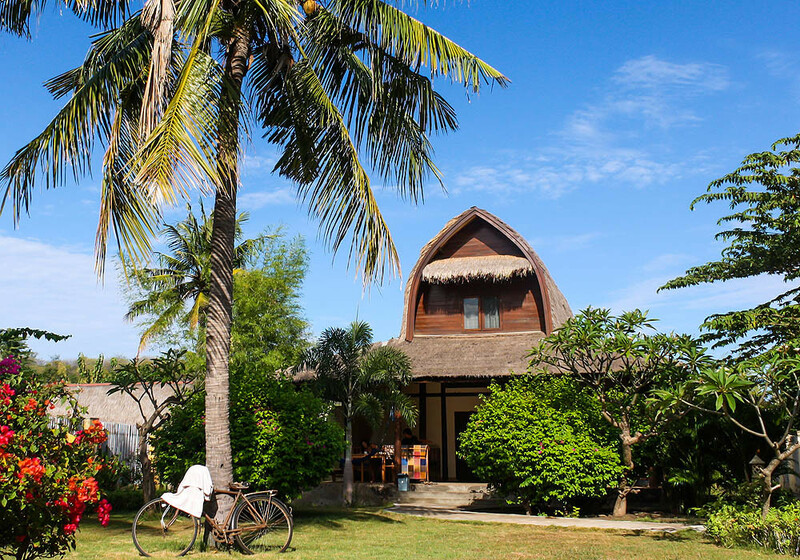 A traditional-style Sasak vacation house for rent in Lombok, Indonesia. 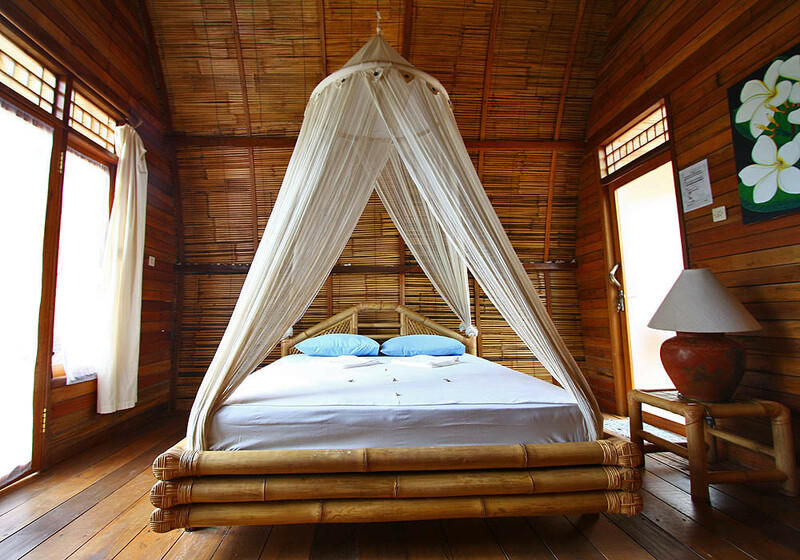 The modern interior of a traditional-style Sasak vacation house in Lombok, Indonesia. 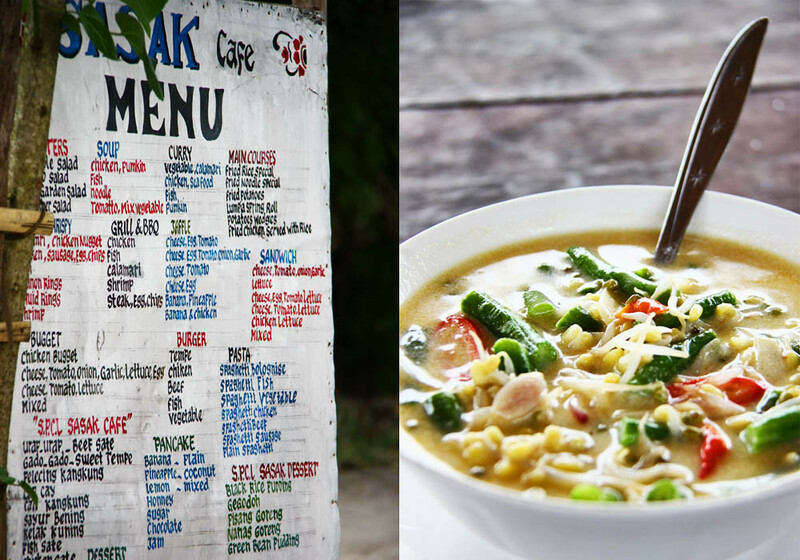 If all of this leaves you hungry, dive into some Sasak favourites. Sit down in a sklep and try some Ayam taliwang – fried or grilled chicken with a chili sauce – or Gule lemak – chicken curry. For vegetarians there’s Kelor (vegetable soup) or Beberuk – raw eggplant with a chili twang. 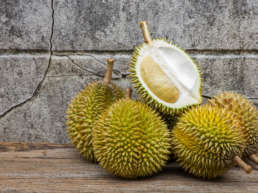 And for a sweet Sasak dessert or an energy boost there’s Lapis – rice, flour, coconut milk and sugar wrapped in a banana leaf – or a Cerotot cone of rice, flour, coconut milk and palm sugar. 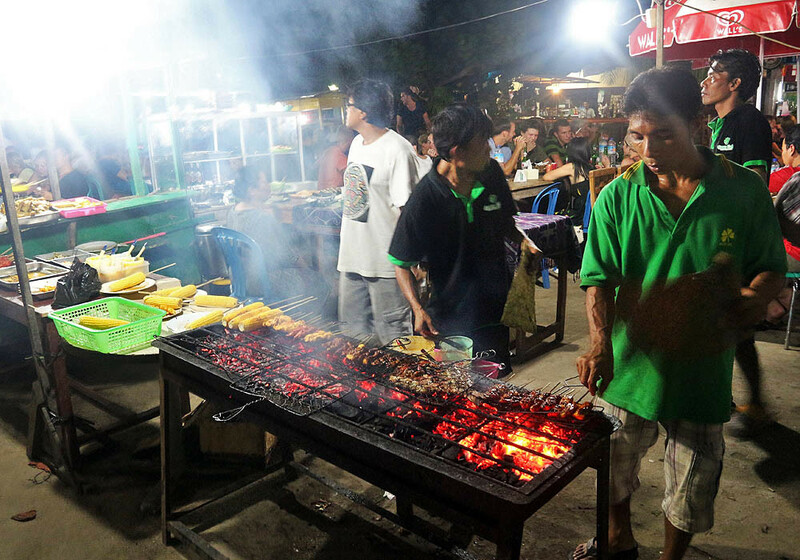 A full Sasak menu tempts hungry passers-by in Lombok. A busy Sasak sklep in full swing, Lombok. And last but not least: if you’re going to Lombok, why not get your Sasak tongue working? The most common greeting isn’t “How are you”, but “Where are you going?” Ojok um bay? A polite reply might be Lampat-lampat… “Just walking…” or “I’m going to Bayan” – Bayan wah mo ojok um bay. Where is… ? 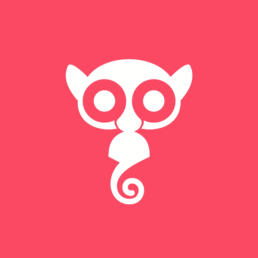 – Um bay tao… ? How are you? – Berem bay khabar? And you? – Berem bay seeda? How many children do you have? – Pira kanak de? Jeśli podróżujesz łodzią motorową z Bali na wyspy Gili w Lombok, możesz być coraz bardziej przywiązany do swojego miejsca, gdy morze zaczyna puchnąć, a fale zaczynają błyszczeć. To może być straszna jazda. 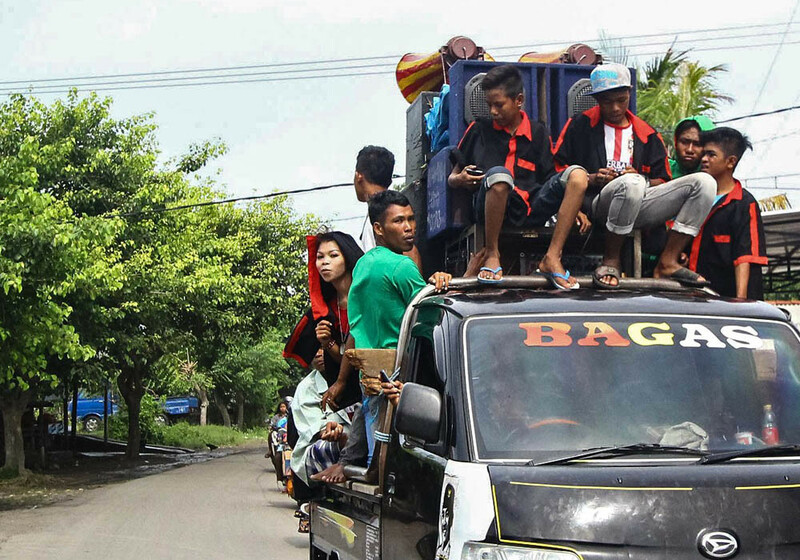 Cieśniny Lombok, które dzielą indonezyjskie wyspy Bali i Lombok, rozciągają się na ponad kilometr głębokości. Cieśniny są wąskim, hałaśliwym miejscem spotkań, gdzie ciepły Ocean Spokojny wciska się w jej chłodniejszego indyjskiego kuzyna. Wszystkie balijskie dzieci są narażone na świat tańca na długo zanim będą mogły chodzić. Współcześni tancerze Legong nie są wyjątkiem: wybrani ze względu na ich urodę, giętkość - a nawet lepiej, jeśli wyglądają podobnie - Legongowie często zaczynają swoją pierwszą lekcję tańca wkrótce po ukończeniu pięciu lat. W wieku czternastu lat dziewczyny będą myśleć o przejściu na emeryturę. Słynna rzeka Mahakam wije się przez ponad 900 kilometrów od centralnych gór do Samarindy i morza przez jedne z najbogatszych na świecie pozostałych ekosystemów. Jej wody zawierają także ładunek ludzkiej historii. Sułtan, Piraci, Dayacy i europejscy poszukiwacze przygód przemierzali rzekę w poszukiwaniu skarbów, terytorium i ludzkich głów. Na Bali są wszędzie. Od kilku ziaren liścia bananowego do domu, do miejsca, w którym umieszcza się owoce, lub do owoców, ciast, drobiu i inwentarza żywego przenoszonych w procesji do świątyni - balijskie hinduskie ofiary są wszechobecne. To pięciogwiazdkowa restauracja lub stoisko z jedzeniem, nigdy nie jesteś daleko od Sambal w Indonezji. Sambal dla przeciętnego Indonezyjczyka jest jak amerykański pomidor keczupowy: pasuje do wszystkiego. Ryż lub frytki, wołowina lub ryba, ten uniwersalny ognisty, pikantny smak ma setki smaków. Centrum miasta Samarinda z pewnością nie jest jednym z najbardziej wyróżniających się, ani wizualnie zatrzymujących - a także małych i przyzwoitych hoteli, tysięcy tysięcy ludzi, którzy przypadkowo rozciągają się na okoliczne wzgórza.